Our Wall of Freedom in Enterprise, Coffee County, is a memorial to fallen service members from Coffee County. It is located at an entrance to the Enterprise Recreational Complex just north of the city. The wall is engraved with the names of soldiers who gave their lives in World War I, World War II, Korea, Vietnam, Operation Desert Storm, and Iraq. The memorial also features a Bell helicopter, popularly known as a "Huey," which has come to symbolize the war in Vietnam. 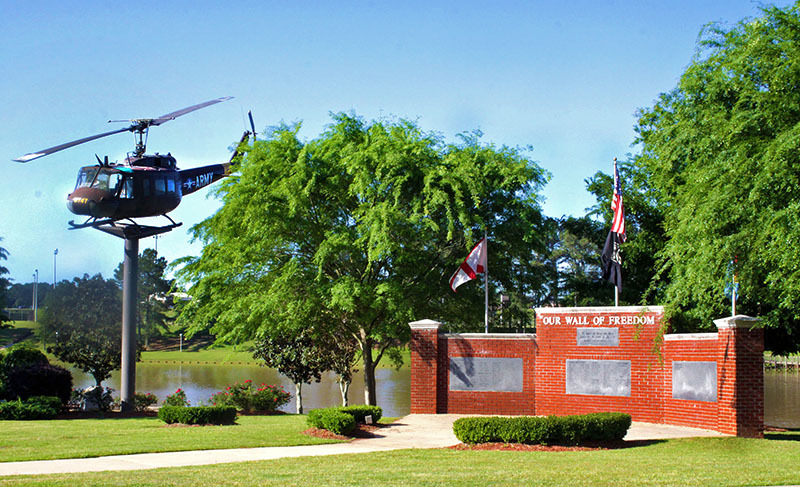 Nearby Fort Rucker is home to U.S. Army aviation training and is the largest military installation in the state.